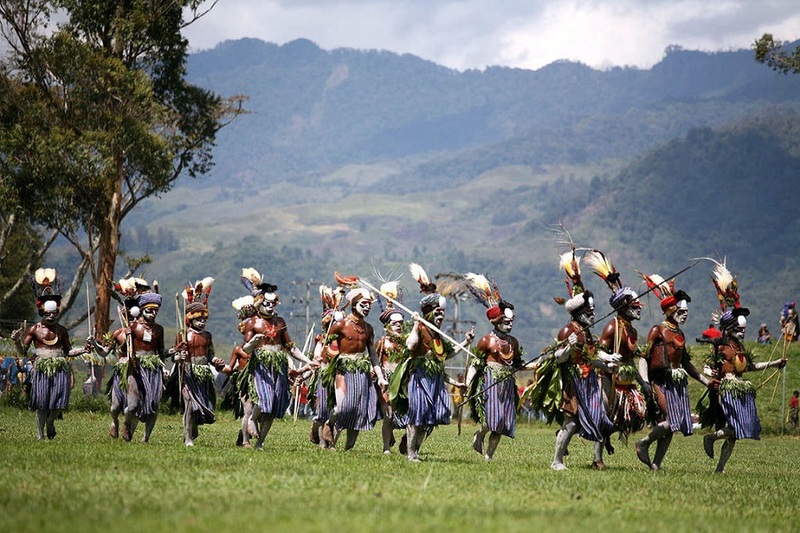 One of the last remaining countries in the world, untouched by modern life, Papua New Guinea((PNG) is home to 7.6 million people of over 1000 indigenous groups with approximately 800 languages and cultures. 80% of the population live in rural isolation and rarely see each other or the outside world. The other 20% live in the capital Port Moresby and other towns Lae, Mount Hagen, Goroka, Madang. In rural areas, trade is usually non-monetary and livelihood centres around subsistent agriculture. In the cities, the language of business in English and the currency is the Kina. PNG’s economy has been steady and growing since 2011 according to the world bank and relies mainly on agriculture, forestry and fishing but the mining and natural resources (oil and gas) extraction sectors are now getting well established and are a good opportunity for foreigners looking to invest. The OEC report shows top exports of PNG in 2014 worth $8.62B include Gold, Petroleum Gas, Crude Petroleum, Rough Wood and Copper Ore. Its top imports valued at $4.92B are Refined Petroleum, Crude Petroleum, Excavation Machinery, Delivery Trucks and Other Edible Preparations. Oil and gas are likely to provide exciting opportunities for investors in the future. Exxon mobil already have already led a PNG LNG (Liquified Natural Gas) plant in successful operation since 2014 and there are two more big projects reported to be in the pipeline. The other two big players looking to near future investment are Total and Twinza for an offshore development. While doing business in PNG is not considered easy (it’s ranked at 145 out of 189 economies in ease of doing business by the World Bank), it certainly has advantages in its location relative to key markets of Australia, New Zealand and Asia. It is also a cheap place to do business with a young and enthusiastic workforce so it is likely that investors will increasingly look to this rapidly developing economy to invest their monies.